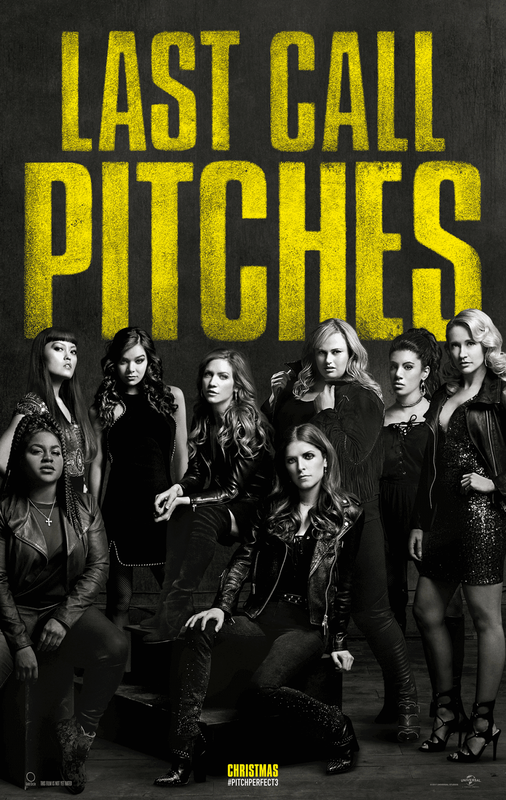 Last Call Pitches reads the tagline of 'Pitch Perfect 3', Universal's sequel to the smash hit 'Pitch' franchise, which tells the story of the Barden Bellas' life after college. With each Bella coincidentally having deadend jobs, they somehow find themselves, the time and the money to end up performing at the USO tour supporting troops across Europe. What's more, they are somehow competing against other groups to open for DJ Khalid (what?). The plot for the 'final' Pitch Perfect is utter madness, and add to that a subplot about Fat Amy's criminal father... they even managed to throw in an explosion. The first trailer to the highly anticipated Oceans trilogy spin-off has been released. 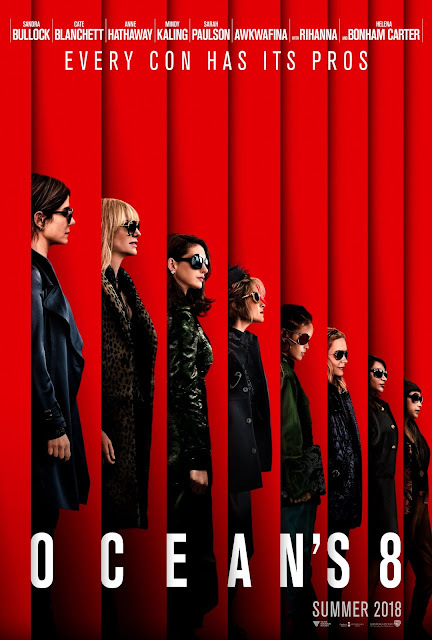 Led by Sandra Bullock, the A list female cast includes Cate Blanchett, Anne Hathaway, Helena Bonham Carter and Rihanna. The group will attempt to conduct a heist at the annual Met Gala. Bullock returns to comedy in her first film in three years and it looks to be a lot of fun. Four years after the events of Jurassic World, the volcano on the island starts to erupt. 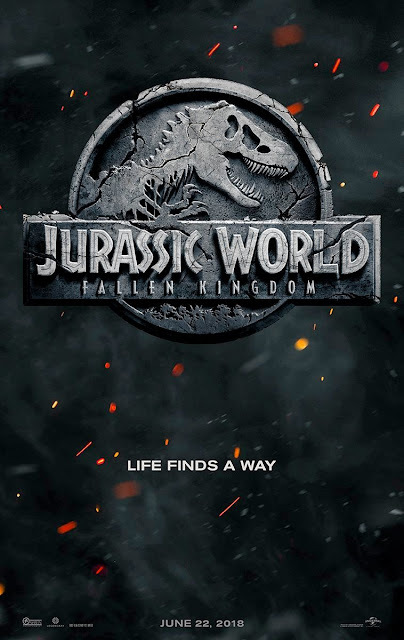 Claire and Owen campaigns to rescue the dinosaurs from the island, and once again encounters not only the dangers of dinosaur life, but from the destruction of the island itself. Chris Pratt and Bryce Dallas Howard return for the sequel, alongside Jeff Goldblum, with no sign of kids this time around. Apart from the volcanic effects, the film looks to be the 'same old' tension tropes as before. Let's hope this sequel manages to offer at least a few surprises come June 2018. 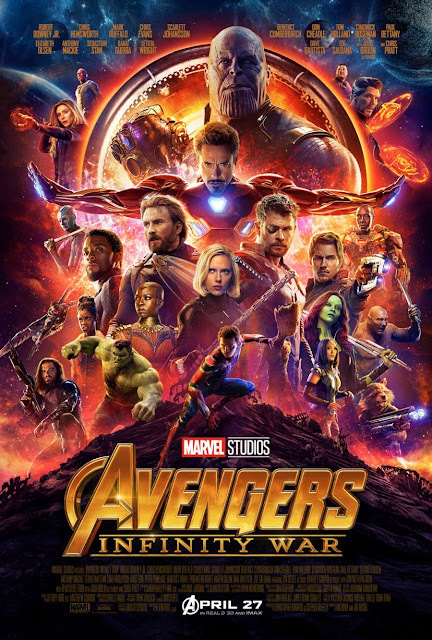 The first trailer for first half of the upcoming Avengers film has been released. "Infinity War" will see the team come back together to face off against Thanos, who has been hinted at since Marvel Phase 1. It's been three years since Taylor Swift's record breaking pop album '1989', and since her two years on tour, a lot has happened to her reputation, in which her sixth album is titled, including high profile relationships, celebrity feuds and ongoing controversy with Kimye. The trailer for an upcoming comedy starring Rachel McAdams and Jason Bateman has been released. The first trailer to the upcoming DC universe ensemble film has just been released. 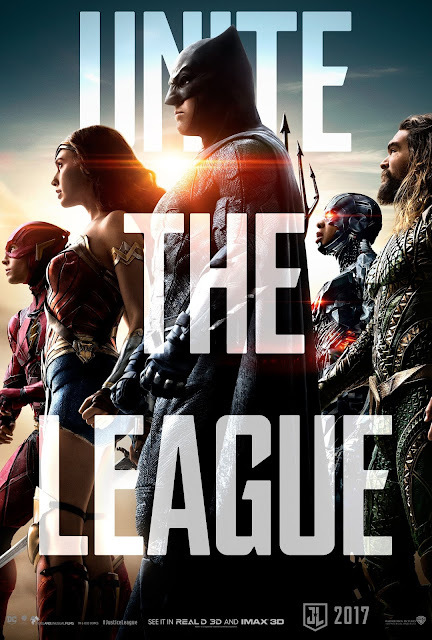 'Justice League' sees Bruce Wayne aka Batman and his superhero recruits fend off a greater evil following the death of Superman. The film seems to still carry a weighty tone, but feels a bit more lighthearted in the action- let's hope the success of Wonder Woman can be repeated in this one. Winner of America's Next Top Model Cycle 23 India Gants covers Rollacoaster Magazine (Autumn/Winter 2017). Shot by Bartek Szmigulski, the Gigi Hadid lookalike is stunning in Burberry. The highly anticipated follow up to Ex Machina director Alex Garland is an adaptation of the novel series 'Annihilation'. 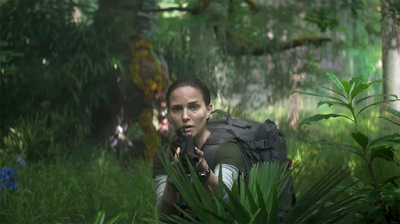 The film stars Natalie Portman as a biologist who leads a team into unknown territories in search of her husband, only to discover mysterious creatures lurking in their midst. The initial trailer gives a tense initial look into the film, and looks to carry a similar tension that Garland's creeper debut had created. Allison Harvard continues a string of surreal test shoots with a cover and spread in Harper's Bazaar Bulgaria. Shot by Siren Studio, and styled by Franco Esto, the spread titled 'Dollhouse' is perfectly fitting for Harvard's trademark looks. 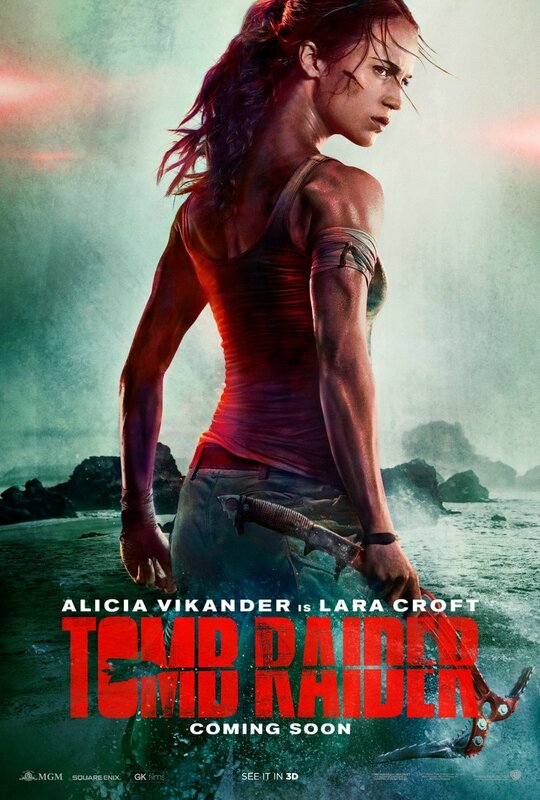 The first sneak peak to the upcoming Tomb Raider reboot has been released. Starring Academy Award winner Alicia Vikander, the short clip sees her embody a young Lara Croft, based loosely on the recent games. The full trailer will be released tomorrow. 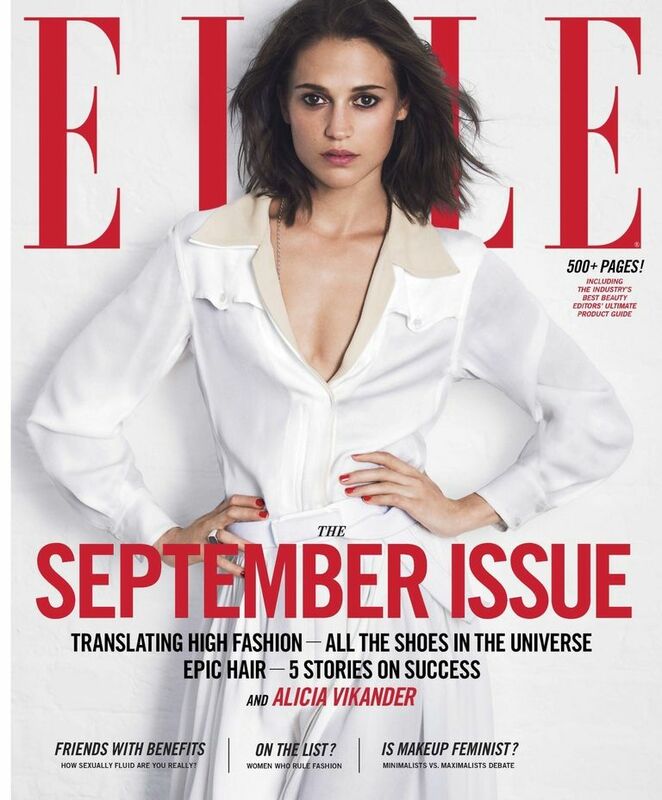 Alicia Vikander covers the September issue of ELLE Magazine, ahead of the release of new film 'Tulip Fever'. Since her Oscar win in 2016, the Swedish star has started her own production company Vikarious, and producing film 'Euphoria' alongside Eva Green, as well as starring as Lara Croft in the upcoming Tomb Raider reboot. 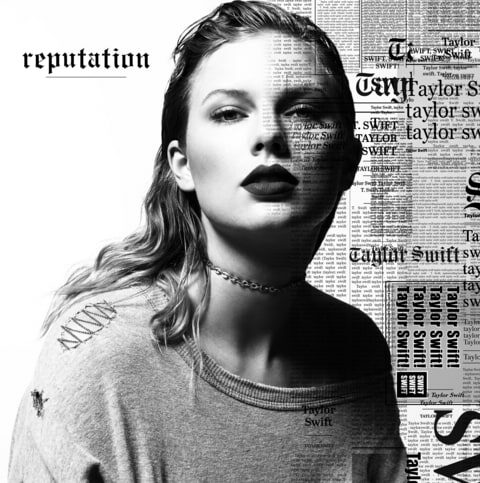 After a cryptic week of snake videos contending with the solar eclipse, Taylor Swift has just released her first single off new album 'Reputation'. Showing off yet another transformation, Swift is embracing a darker more mature (or rebellious) look and sound. New single 'Look What You Made Me Do' is the first of Swift's response to her perceived public fall from grace after high profile 'feuds' with Kimye, Calvin Harris and Katy Perry. LWYMMD clearly hones in on the former, with a darker more angsty tone throughout, that has a perfect build, but unfortunate flat and repetitive and lyrically sloppy chorus. Receiving mixed reviews and dividing fans more used to the upbeat and fun sound of Swift, LWYMMD may not be Swift's best music, but is a more than perfect response to write her narrative for the upcoming album and 'era'. Providing an opportunity for Swift to change her sound yet again, the album is more than likely laced with a darker tone and angsty lyric, which LWYMMD sets up, but what is most exciting is how the narrative develops across the album. Check out Look What You Made Me Do below, with 'Reputation' releasing November 10. 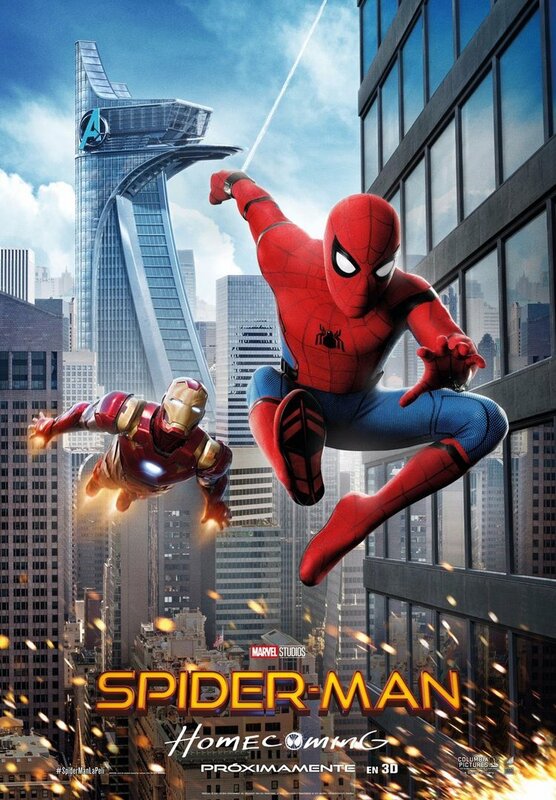 It was a rare cinematic moment when the collaboration between Marvel Studios and Sony meant that we could see the friendly neighbourhood hero Spider Man debut in the MCU in Captain America Civil War, with Tom Holland, playing an even younger version than we've seen before. Continuing such collaboration in Marvel's Phase 3, Spider Man Homecoming is yet another retelling or reboot of the Spider Man story in what could be another attempt at a trilogy with Holland in the lead. With the reputation of Marvel backing these new Spidey films, success would seem inevitable, but I still felt something was missing from the film. Returning home from the events of Civil War, Peter Parker (Holland) is thrilled to have been a part of the Avengers, and under the mentorship of Tony (Downey Jr) and Happy (Favreau), expects to be part of more missions soon. But when he is told to keep a low profile, Parker is determined to prove himself by investigating a mysterious group crafting and selling alien weapons. After the success of La La Land, the next big musical appears to be 'The Greatest Showman'. Starring Hugh Jackman as P.T. 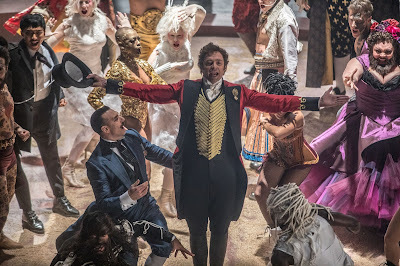 Barnum, the musical film tells the story of a man who 'rose from nothing' to provide for his family through the invention of showbusiness. The film also stars Michelle Williams, Rebecca Ferguson, Zac Efron and Zendaya. Whilst the trailer doesn't give too much away in terms of the music, there is certain to be drama and a spectacle. DC hasn't really gotten things right in the past couple of years, but being the one to release the first female led Super Hero franchise is gaining them the right sort of attention. First introduced in the messy Batman VS. Superman, Gal Gadot stars as Diana Prince aka Wonder Woman, and being the MVP of that film, led to the fast track of her own solo franchise. 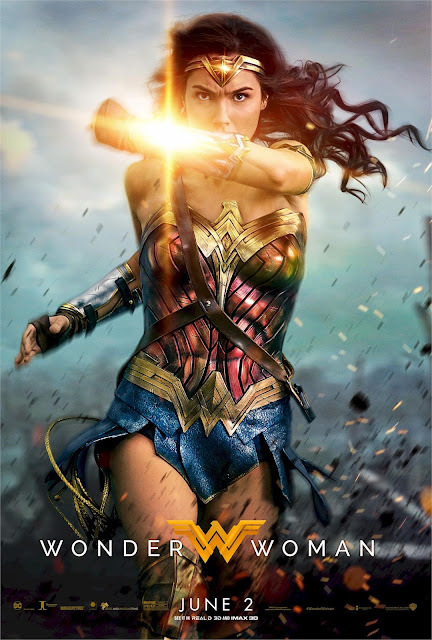 Directed by Patty Jenkins, Wonder Woman is a much more light hearted affair, with a regular touch of humour that feels very familiar to the Marvel films. Though tied back to the DC universe through its opening and closing scenes, it is very much its own movie. The images from India's winning spread for PAPER magazine has been released. Shot by Charlotte Rutherford, Gants wears Versace, Hugo Boss and Moschino. Since winning the latest edition of Top Model on VH1, India is signed to Ford Models, and wishes to work as a proper fashion model rather than a reality TV star. Let's hope she manages to book some big campaigns soon. Whilst she wasn't the best editorial model on the show, the combination of smarts, personality and with two first call outs and numerous challenge wins got her to the top 6, till she was rather unfairly eliminated. She was never afraid to voice her opinion or express them facially and was definitely the stand out entertainer this season. This season was a toughie. It was difficult to really root for anyone... but I guess my favourite would have to be Katarina, who quietly rose to the top 4, but only really emerged as a potential contender at the end. Aimee is so far my favourite Asia's Next Top Model contestant ever. Her combination of humour and wits make her the funniest to have participated on the show. Her fresh look and glowing personality allowed her to soar to the top 3, and could have easily taken the prize was it not for the judges' view on her weight. She's since done numerous nationwide campaigns for Neutrogena, appeared in ELLE Style and walked a range of fashion shows. A second girl from Hong Kong makes it onto my favourites list! Jessica was definitely underrated and eliminated prematurely. Since competing on the show, she has walked for New York Fashion Week and starred in a Estee Lauder commercial. Shikin has consistently performed throughout the competition, and cemented her place as a favourite after many other (maybe more obvious favourites such as Layla and Dorothy) left the competition prematurely. Nonetheless, she is a strong all rounder, performing well in both motion editorial and editorial. Although she didn't win, she definitely deserved to as she outperformed the other two in the final episode. The first trailer for the highly anticipated Pitch Perfect sequel has been released. The story tells of the Bellas' lives after graduating college, only for them to be reunited to perform together once again in Europe for USO. Hilarity and antics are sure to ensue with the return of Anna Kendrick, Rebel Wilson, Brittany Snow, Anna Camp, Hailee Steinfeld and others. From the developers of Beyond Two Souls and Heavy Rain, comes a new title revolving around an android revolution. 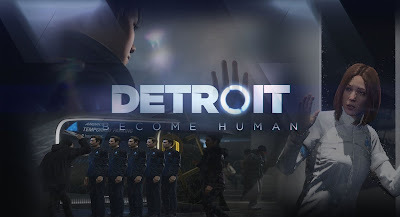 'Detroit: Become Human' follows the story of Kara and Markus, two androids looking to free the rest of their kind, interlaced with the story of Connor, a cybernetically enhanced police officer, tasked with dealing with deviant androids. With hopefully a complex choice tree and a compelling story, this looks to be a gripping narrative experience. 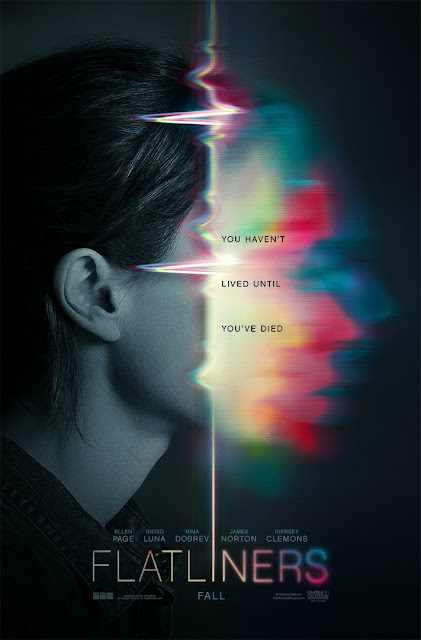 The first trailer for the "sequel" of the 1990s hit 'Flatliners' starring Julia Roberts, Kevin Bacon and Kiefer Sutherland has been released. Marketed as a 'sequel' to the film, Kiefer Sutherland returns as a professor, likely to inspire another group of students to meddle with the afterlife. 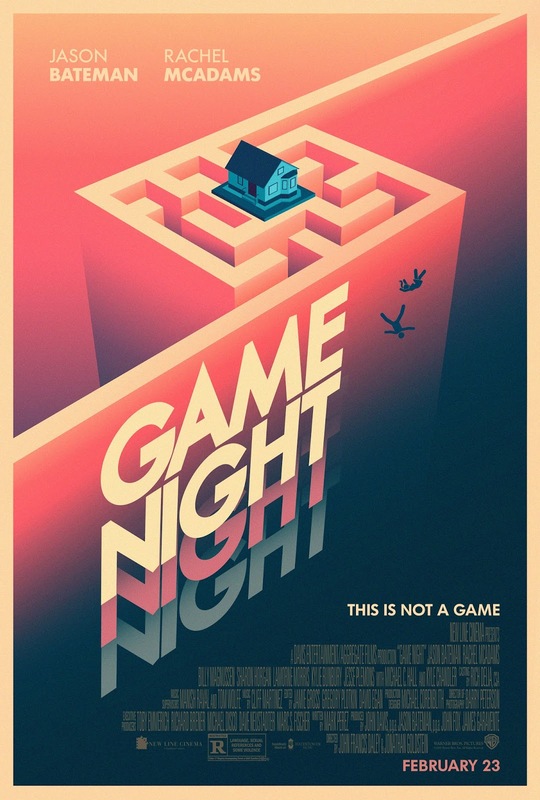 Starring Ellen Page, Nina Dobrev, Diego Luna and James Norton, expect the psychological thriller to respond to 21st Century themes. The first teaser trailer for Marvel's upcoming 'Black Panther' has been released. 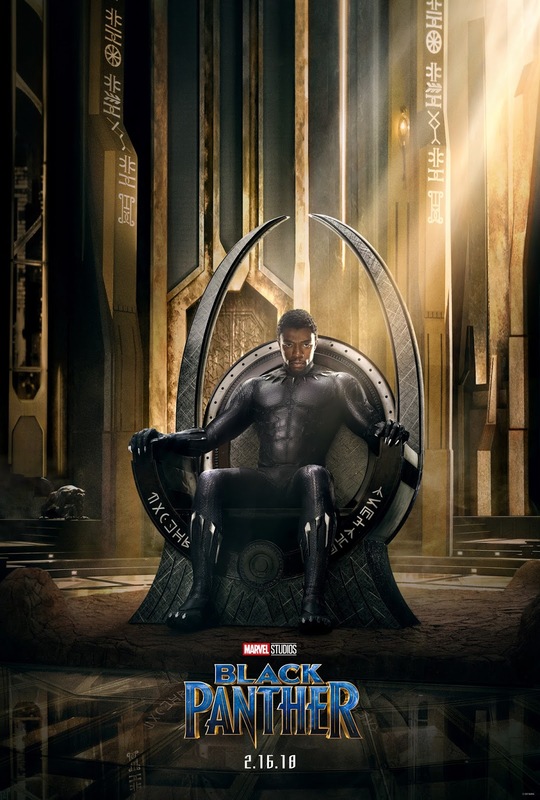 After its successful debut in Captain America: Civil War, T'Challa returns to Wakanda as king. But when an old enemy appears, threatening Wakanda and the rest of the world, T'Challa must depend his people as the Black Panther. The film stars Chadwick Boseman, Lupita Nyong'O, Martin Freeman, Forest Whitaker and Andy Serkis. 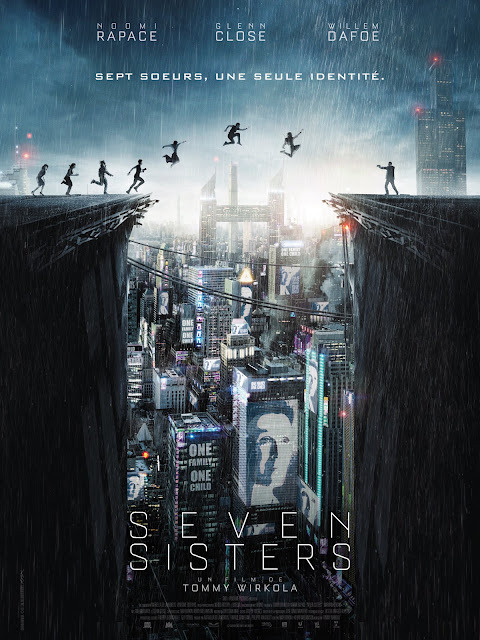 The first trailer for 'Seven Sisters', also known as 'What Happened to Monday?' has been released. Starring Noomi Rapace as a septuplet, born in a dystopian future with a one child policy, she plays all seven sisters (each named one day of the week), each only allowed to go out on the day of their name. But when Monday disappears and the government begins to suspect their family, they must seek to find the truth. 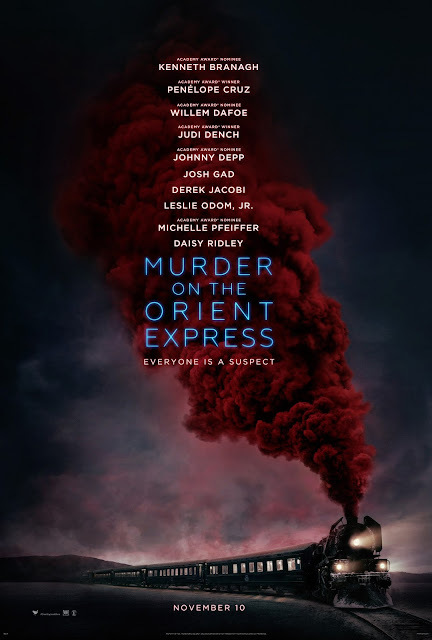 The first trailer for the murder mystery adapted from the Agatha Christie novel 'Murder on the Orient Express' has been released. With an all star cast featuring Johnny Depp, Judi Dench, Penelope Cruz, Michelle Pfeiffer, Willem Dafoe and Kenneth Branagh amongst others, the first teaser gives a glimpse of these key players (or suspects rather) potentially involved with a mysterious murder. After last week's trailer tease, the full trailer of the highly anticipated Kingsman sequel: The Golden Circle has been released. 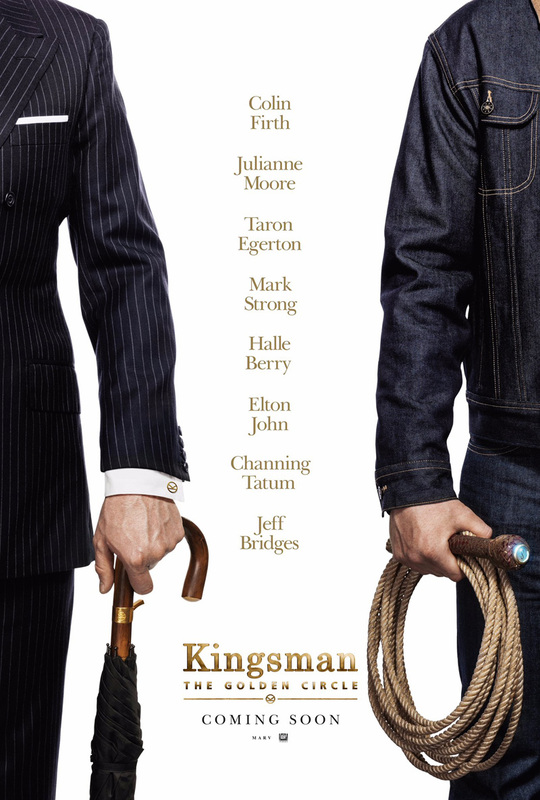 Starring Taron Egerton, the sequel sees the Kingsman headquarters destroyed, and the team must work with a US organisation to save the world. The film also stars Julianne Moore, Mark Strong, Halle Berry, Jeff Bridges and Channing Tatum, with Colin Firth also making a return. 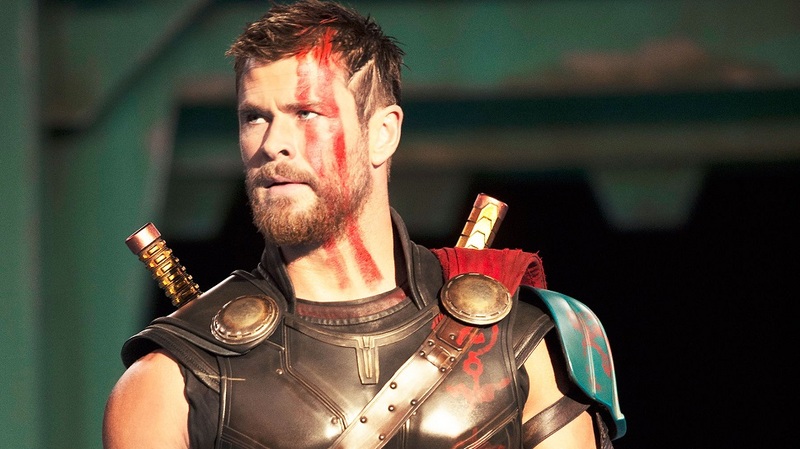 The first teaser for the upcoming sequel of Thor has premiered. Chris Hemsworth returns as Thor and is joined by an all star cast including Care Blanchett as antagonist Hela, Mark Ruffalo as Hulk, Tom Hiddleston as Loki and even Benedict Cumberbatch who makes an appearance as Dr. Strange. Imprisoned on the other side of the universe, Thor must fight Hulk in a race against time to save Asgard from destruction. Here is an updated version of my favourite contestants per cycle, why, and their my favourite photo of them during the competition. She was the loudmouthed one who said what was on her mind. She was quite outrageous and daring, and took great pictures. She made it to the final three, but was interesting as a person and managed to stir up quite a lot of drama! The "geek" who made the biggest transformation. She made such progress, you really rooted for her throughout the cycle... She is also best known for her "affair" with a male model with which caused great drama with her boyfriend... and so on... She managed to land a spot in the final three, but did not get to walk the runway. She was the girl with the bad skin... and wow did it improve throughout the cycle. She had stunning facial features, a great portfolio and a great walk, and got to the final two, losing out to Eva. She should've won! However, now she is an actress and a model, landing in roles such as Ugly Betty. She was a fierce beauty and she just had that edge to her. I liked Naima as well, but Kahlen was more interesting and had more depth to her. She took many stunning pictures, and was a finalist, losing out to Naima. Due to her resemblance to model Carmen Kass, she is currently NOT modelling, and is working as a bartender. Wasted potential!! She was the most interesting one, and had lots to say. She made you smile and she had funny things to say. She took some great photos as well... 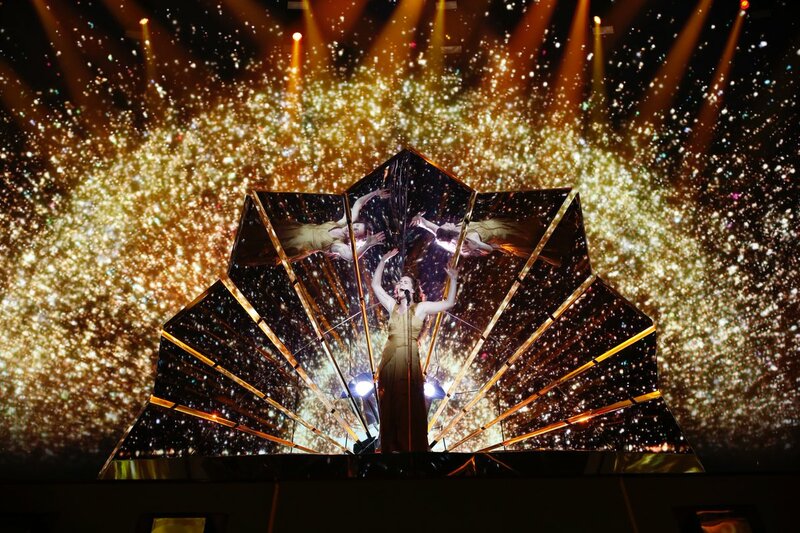 Although she didn't win, she should've, but she made it to the final 2. Melrose, throughout the competition was hated by the other girls. She was always alone, but her confidence in herself, and the fact she win loads of competitions, and one memorable moment where she STOLE the prize off another girl as part of the challenge, was just hilarious. She was Russian, which gave her an immediate edge. She was interesting and smiley, and was fierce competition for the other girls. She managed to get to the final, but lost out to Jaslene. This was one of my favourites EVER, until Allison came along... she still rocks. Although she has aspergers syndrome, Heather came into the competition with optimism and humour. She was very funny throughout the competition, especially when trying to sell that wine glass... and took some stunning photos. She is a great ambassador for aspergers and is a successful model now. Katarzyna is quite quiet, and has coasted throughout the competition. She has amazing facial features, especially her cheek bones. She has never done amazing, but has been a dark horse, and was spontaneously eliminated for a photo Tyra didn't like, although I thought was gorgeous. Also, the fact that Tyra couldn't say her name, and had to be corrected about once every episode made her the favourite for this cycle. Marjorie is the quirky and shy one of Cycle 11, who seems to rock at the photo shoots! She has an interesting personality, and is always smiley... She bears a resemblance to Franka Potente, and was robbed of a place in the final due to a bad photoshoot (where she didn't have any props, whilst McKey had like loads). Talk about unfair! Anyway, her stunning photos and her funny self got her this spot. She is known as the "big eyed" girl, quirky, quiet and shy... but she has wowed us with the stunning photos week after week. She progressed significantly and got to the final 2, losing out to Teyona. She is so funny throughout the cycle, saying random things that just make you laugh... most notably her confession to loving nosebleeds, and who could miss her finale of writhing around in (mud?) and her funky walk with the scarf (shaking it like maracas as she passes Ms. Jay). Nicole, again is the quirky, shy, quiet one, who takes stunning pictures. She is perhaps a bit awkward but she isn't afraid to embarass herself. Every picture she took in the cycle was STUNNING, and thus, she won! She still has to work on her walk and her personality, but she is definitely high fashion, and has a long career ahead of her as a petite model! The typical girl next door, Jessica proved she can take some stunning pictures early on in the cycle, with several first call outs. Unfortunately towards the end, she just didn't give what the judges wanted and was eliminated. I grew to like her as the weeks progressed and she has such a stunning face- she is definitely the most beautiful this cycle but has that edge due to her jaw structure. She was top 4 before being axed, but was told by Tyra she "will make lots of money" and to "sign up to an agency right away". Jane proved she can take stunning pictures but also has personality- even if the judges don't realise it. Check out her portfolio here. This cycle had so many likeable girls, but unfortunately, I can only pick one to be my favourite and that has to be Jaclyn- SCREW THAT. Two girls stood out to me from the beginning which were Jaclyn and Hannah. Jaclyn had much more screen time before her elimination so she was more obvious favourite but afterwards, Hannah was able to shine through. As a model she had one of the strongest portfolios and was prematurely eliminated. Just look at her best shot- you can't eliminate a girl who can transform into THAT. Hannah has been so bubbly and cheery throughout the whole cycle, radiating a spark of energy and excitement even when she's just standing there that you can't help but like her! She took phenomenal high fashion photos and got to the top three! The ALL STARS cycle has been announced and out of the selection there is clearly only one girl that can be my favourite and that is Allison, who I rooted for in Cycle 12 and was a finalist. How will she do this time? Allison rocked it this cycle yet again taking stunning picture after stunning picture. Many times she was called later than she should have but nonetheless got the BEST call out average out of all the girls overall. Being in the bottom two only once throughout the cycle (the one before the finale), this is one of the best performances in ANTM history. Her runway was great and so was her commercial but guess what? She was robbed once again- I am utterly distraught at the travesty that Tyra and the judges have made. Urgh. Here is my favourite photo of Allison from the cycle- it wasn't even from an official photoshoot (from the fashion editorial) and she looks mesmerising! Whilst she didn't stand out at the beginning of this cycle, she grew more and more likeable and was drastically cut the same episode they brought back an eliminated girl. She was sweet but also had an edge (which still needed to be harnessed) but still pulled out some great shots. Whilst she seemed like the typical blonde to begin with, my eye was on her since the paint photo shoot; she produced one of the best shots in ANTM history, and went on to win the whole cycle. Of course, I liked Nina and Chris H, but Jourdan's photos were just a notch above everyone else's! Congrats Jourdan! Despite only having an average portfolio, Matthew was definitely my favourite from the beginning. He has one of the most beautiful faces that has graced Top Model since guys were introduced and a sincere personality to match. Definitely eliminated before his time, here is my favourite shot of him from the cycle. Nyle is undoubtedly my favourite this cycle from the first episode. Although he is deaf, he has throughout the cycle, been noted to take the best direction and 'listens' to feedback. Whilst his shoots during the show were hit and miss; mostly a pretty face and body, his work outside the show is much stronger. Check out his shoot with Tony Veloz. Having gained a massive following through the show, he has launched his own sign language course on an app and worked with numerous photographers including Mike Ruiz. India quickly became a favourite for her distinct look and sweet personality and a well deserved winner for the first revamped VH1 version of ANTM, having got 5 first call outs during the show. Can't wait to see how far she goes with the modelling, given the constant comparison to Gigi Hadid. Totally robbed. Krystyana was the best "curvy" girl in all ANTM history and had such a strong story to tell. She truly beat out the rest of the contestants with the most challenge wins all cycle and tied for the most first call outs.